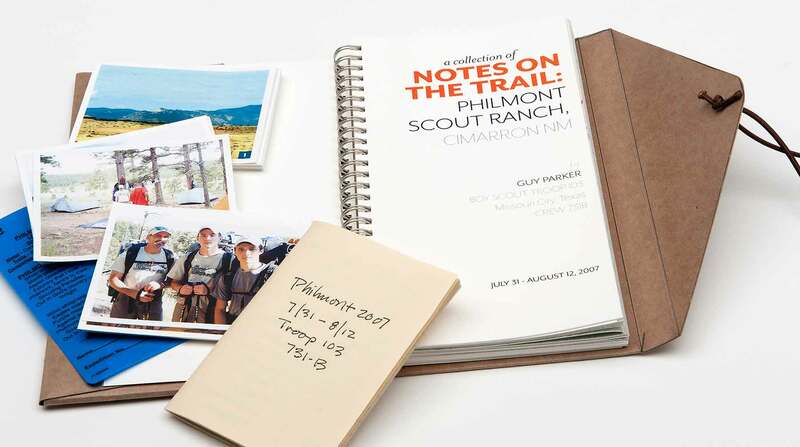 Notes on the trail is a book about one trek, by one crew, during one summer at Philmont Scout Ranch in Cimarron, New Mexico, July 31 – August 12, 2007. The crew backpacked over 80 miles during that time over rugged terrain. Philmont is a difficult place to describe and during my treks I keep “trail notes”. 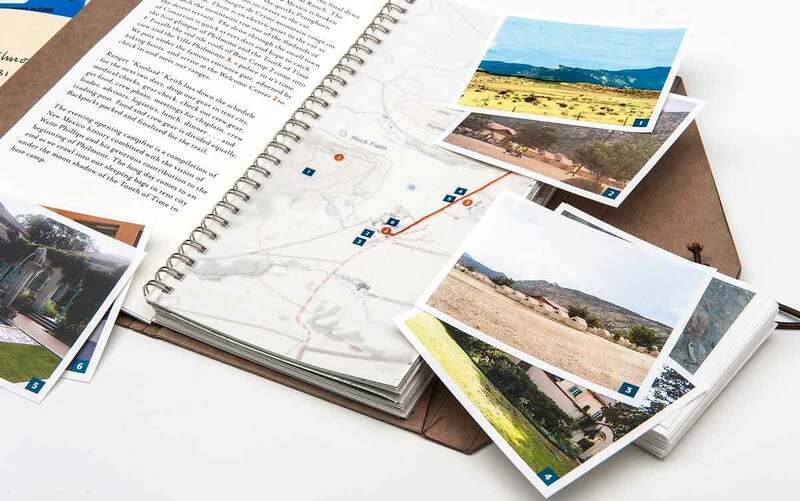 The book communicates in detail the experience and challenges that a crew would encounter on the trail if they were among the lucky few to be awarded a trek at Philmont. 20,000 Scouts are awarded treks each summer while 20,000 are on a waiting list. This book is for those preparing to attend, and the goal is that it can be used as a tool to help them be better prepared for their trek and have a more enjoyable experience. My hope is that the reader can interpret the detailed story with text, photos, maps, gear lists and unique trail tips to form a comprehensive understanding of the Philmont experience. The finished book needed to be interesting and insightful to read, but also practical in a sense that it is packaged and bound so it can be taken on the trail and actually used as a trail guide. This project was for a graduate school class for my masters at Texas State University and I played the role of art director, designer, writer, photographer, book binder and trek participant. It started by transcribing the original notes into a more visual dialog. 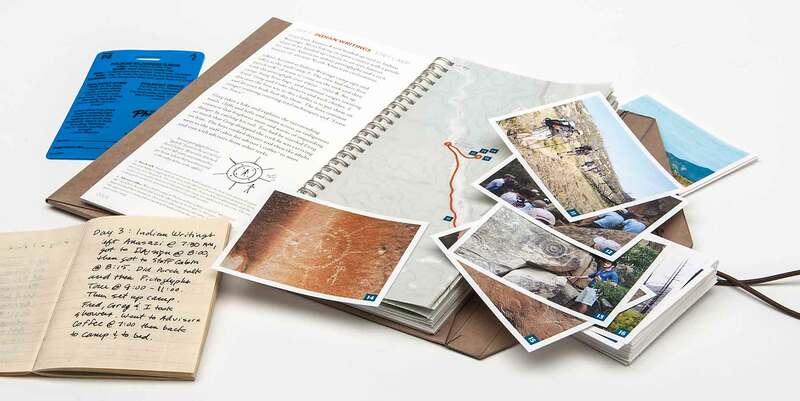 While the package includes an exact copy of my trail diary, the text of the book is much more descriptive and contains references to photos and incidents that are marked on the accompanying maps. 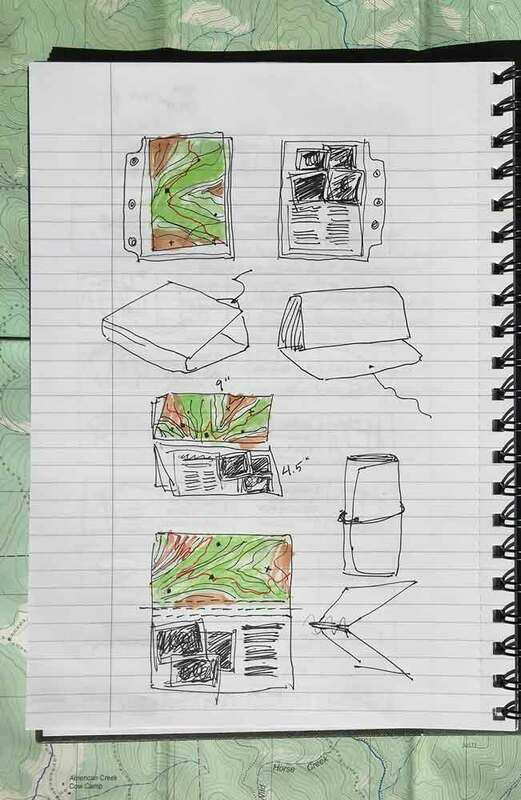 Actual trail maps were scanned and final versions composed in Photoshop. 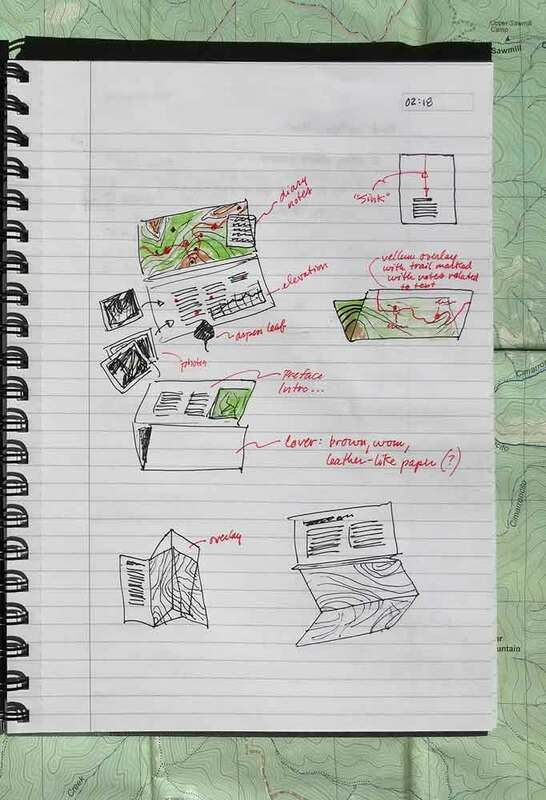 These were broken into their corresponding pages and overlays were created to mark trail routes, text references and photo references. Over 1000 photos were reviewed to arrive at 96 final photos to include in the book. Each photo is numbered and that number corresponds with a location on a map overlay and its caption describing it in the back of the book. To add to the usefulness of the book footnotes were added for unique terms, an extensive section for “trail tips” and a complete gear list. 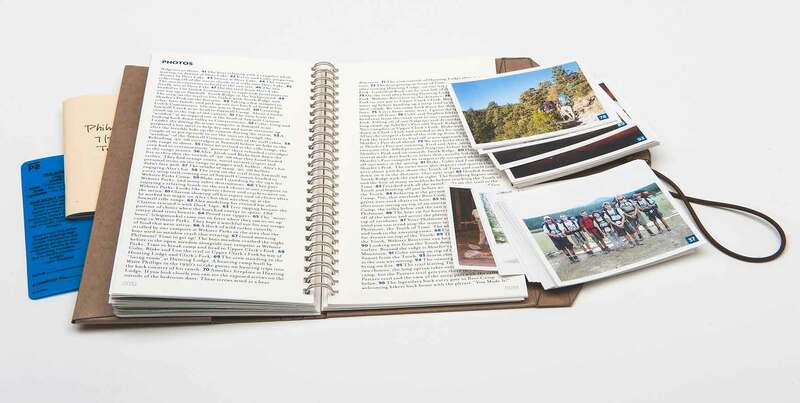 The cover is designed to represent a travel folio with oil stained board and handcrafted pockets to hold photos, the trail diary replica and the wire bound text. The wire binding allows the text to open and lay flat. The text paper is synthetic and waterproof making it trail worthy. 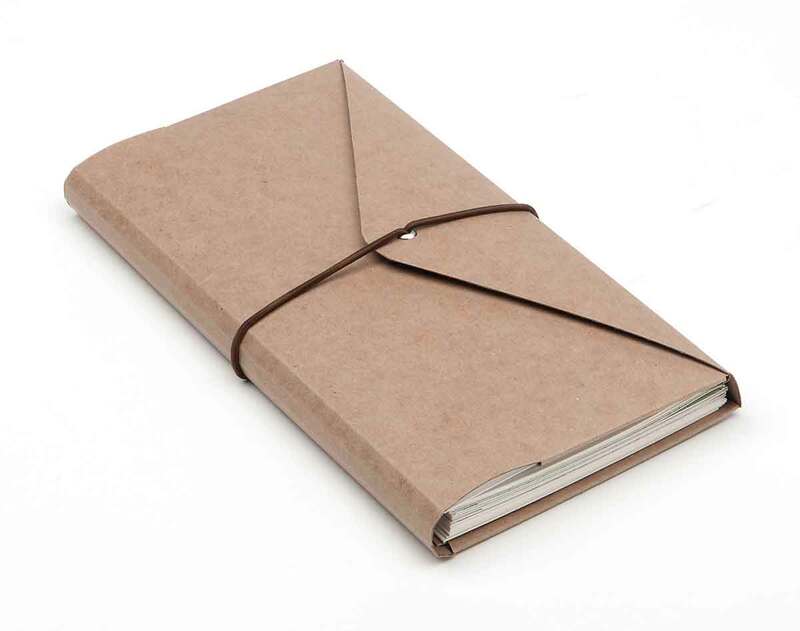 The book is held closed by an elastic cord through an eyelet. Not only does the book tell a real story, it becomes a reference tool for those seeking similar adventure and offers insight to help them prepare for their journey. It is very much a book that is more than something you just hold in your hand. 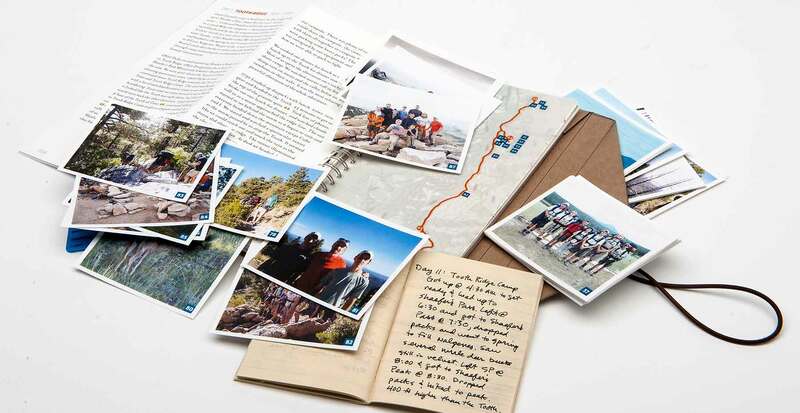 It communicates on multiple levels — it can be read simply as text, but the reader can go much deeper and explore the trail maps and connect the experiences with photos while they immerse themselves into the mountain backpacking genre.